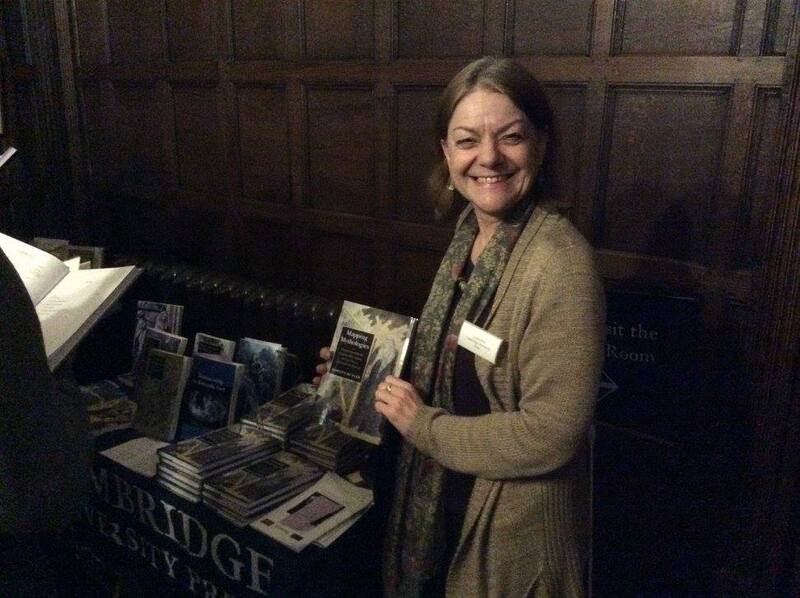 Many thanks to Grace Harvey (University of Lincoln) for contributing to the BARS Blog the report below, detailing her experience of the warm and welcoming ‘Marilyn Butler and the War of Ideas’ conference held at Chawton a couple of weeks ago. Further details of the conference can be found on the Chawton House Library site and via the Chawton House Library Facebook group. ‘Marilyn Butler and the War of Ideas: A Commemorative Conference’ was held on the 11th and 12th of December at Chawton House. Organised by Gillian Dow and Linda Bree, the two days featured unrivalled discussions and research that celebrated the life and work of Marilyn Butler. The first day was opened by James Chandler (University of Chicago), whose keynote, ‘Edgeworth and Austen (and Butler)’, spoke warmly of his friendship with Butler and drew attention to the sheer extent of her career and influence. His consideration of slavery, money, and Butler’s discussions of Austen, Edgeworth and Smith, amongst others, effortlessly encapsulated the convivial and celebratory tone of the conference. The first panel was an opening discussion that, like Chandler’s keynote, was peppered with personal remarks about Butler in addition to discussions of work inspired by and produced in response to Butler’s. Janet Todd (University of Cambridge) spoke of the male-authored memoirs of Jane Austen and Mary Wollstonecraft in her paper, ‘Male Memory, female subject: the case of Jane Austen and Mary Wollstonecraft’. Following this, Cora Kaplan (Queen Mary, University of London and Southampton) discussed how Butler’s work encourages readers to feature a wide variety of obscure and disparate individuals in her paper ‘War of Ideas: Butler and Feminism at two fin-de siècle’. Clara Tuite’s (University of Melbourne) ‘Austenian Badlands and the War of Ideas’ discussed the negotiation of politics and history through form, and Ros Ballaster (University of Oxford) concluded the opening discussion with a consideration of the place of the aesthetic in feminist recovery, in her paper ‘Passing Judgement: the place of the aesthetic in feminist literary history’. Moving into the afternoon, the rest of the conference programme entailed the bittersweet demands of parallel panels, but the inevitable gaps in the following report have been filled by numerous scholars using the #MBWarofIdeas Twitter hashtag. The first session I attended was opened by Jacqueline Labbe’s (University of Sheffleld) ‘The Editor and Mrs Smith: Who is She?’. Here, Labbe queried how we might position Smith as a novelist and as a poet, as well as the complex relationship between author and narrator, and questioned the challenges this poses to readers. Following on from this, Amy Culley (University of Lincoln) and Anna Fitzer (University of Hull) spoke of their joint endeavours in editing women’s writing. In their paper ‘Editing Women’s Writing 1670-1840: Textual Editing and Women’s Literary History’, they presented the challenges and concerns editors face when approaching documentary evidence, giving a survey of the field drawing on their forthcoming co-edited collection on the subject. After a quick tea break, the second parallel session commenced. Jane Spencer (University of Exeter) begun the panel I attended with, ‘Learned pigs: animal imagery in radical culture of the 1790s’. Spencer’s discussion of the politicised swine demonstrated how these symbols pertain to far-reaching implications. Mary Fairclough (University of York) started to query the lightning bolt moment we all so fondly associate with cinematic appropriations of Frankenstein in her paper ‘Frankenstein, Electricity and Chemistry’. Here, Fairclough traced references to science to surgeons William Lawrence and John Abernathy in order to insist that we should not reduce Shelley’s text to a “galvanic shockfest”. In the final paper of this panel, Michael Rossington (University of Newcastle) drew attention to Percy Shelley’s recently resurfaced poetry in his paper ‘Poetical Essay on the Existing State of Things: a newly recovered Shelley poem and its contents’. In addition to providing an overview of how we might position this within Shelley’s own literary works, Rossington was keen to consider how this text might suggest new ways in which we can illuminate Shelley’s personal and political positions. Concluding the day’s celebrations, the final session was a warm reflection on Butler as editor and featured the launch of Mapping Mythologies, Butler’s last major work. 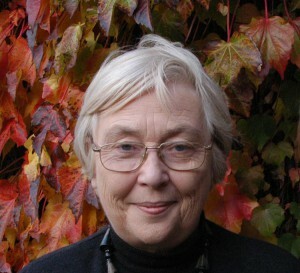 Josie Dixon spoke of Marilyn’s legacy as series editor (for Cambridge University Press’s Studies in Romanticism) and more generally championed her commitment to providing rich and accessible tools for the aspiring scholar. Heather Glen shared her intimate and personal memories of Butler, and suggested how her character shaped her work as much as her ideas. She offered a unique insight into Butler’s writing processes and spoke of the processes that she herself undertook in editing Butler’s final work. David Butler closed the session with wit and affection, concluding the first day with as much warmth as that with which it opened. Fuelled by both an excellent day of convivial discussion and a well-earned glass of wine, we were all promptly ushered into dinner where these conversations continued. Post-dinner entertainment was generously provided by undergraduate musicians from the University of Southampton, led by Professor David Owen Norris and featuring a fine Edgeworthian interlude from Gillian Dow. Moving into the second day, Anthony Mandal (Cardiff University) opened the first of the parallel sessions with his thoughts on gender and authorship. In his paper ‘The Business of Ideas: Women’s Fiction and the Romantic Literary Marketplace’, Mandal drew attention to ‘Mrs Meeke’ and the Minerva Press to suggest how writers employed and exploited new markets for literature. Serena Baiesi (University of Bologna) continued to discuss how we might position Edgeworth’s fiction following Butler’s seminal editions in ‘Rewriting the Genre of ‘Romances of Real Life’: Maria Edgeworth and Jane Austen’. In the final paper of this session, ‘Illegitimacy and the Haunting of Jane Austen’s Novels’, Isobel Armstrong (Birkbeck, University of London) discussed the role of illegitimacy in the novels of Jane Austen and traced features of Emma back to King Lear. Following a brief tea break, I now took my own position at the helm in the second session of the day. 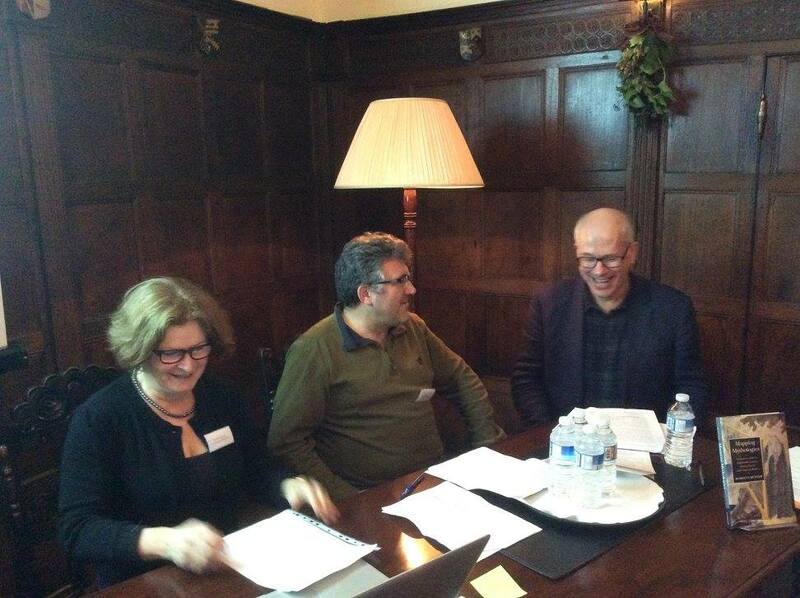 Following Chris Ewers’s (Independent) stimulating discussion of topography in the work of Jane Austen and Robert Bage, ‘”Anticipating” Austen: Hermsprong and the Geography, of “3 or 4 families in a Country Village”’, I gave my paper, ‘Man as He is Not: ReDefining and ReAligning Robert Bage’. Ian Haywood (University of Roehampton) rounded this session off with his thoughts on ‘Arts for the People in a Revolutionary Decade: Jacobinism and the Poet’s Gallery’. In the closing remarks of the panel, Haywood discussed the complex systems of visual culture, and alluded to the wider implications of these fascinating prints. Moving into the final parallel session of the day, Fiona Price (University of Chichester) spoke passionately of the works of Jane West. In ‘Romantic Nationalism and the Sublime Church: Jane West’s Historical Fiction’, Price discussed how West inverts and subverts political affiliation in response to the 1790s’ radical politics. Michael Falk (University of Kent) discussed how readers might employ Butler to unique ends in his paper, ‘Butler’s Sociology’. Using the work of Amelia Opie as a ‘case-study’, Falk injected laughter and wit into his discussion of Butler’s legacy, and suggested how her appropriation of Bourdieu is a model for comparative work. Gary Farnell (University of Winchester) provided the final paper of this session and suggested how Butler’s work remains independent in schools of thoughts in his discussion of ‘Marilyn Butler’s Open Literary History’. The two excellent days concluded in brief remarks in the closing discussion. First to the lectern was Mark Philp (University of Warwick), who in his paper ‘Intimate Friends in the 1790s’ called on William Godwin’s diary to open discussions of the prevalence, or indeed lack thereof, of women in intellectual and radical circles. Nigel Leask’s (University of Glasgow) brief discussion, ‘Marilyn Butler and Devolutionary Romanticism’, paid tribute to those areas of Butler’s work that considered diverse communities of writing. Deirdre Coleman (University of Melbourne) shared her experiences of receiving feedback from Butler throughout ‘Marilyn Butler and ‘the mind’s eye’ of the author’, and reminded all of Butler’s preference for Romanticism without Wordsworth. Jon Mee (University of York) rounded this final session off with his short paper ‘Transpennine Enlightenment: Power and Knowledge in the North’. During this brief discussion, Mee pointed to the north of England as a hothouse for improvement and cited the spreading literary and philosophical societies as examples of this, before offering concluding thoughts on women’s membership. As with almost all of the previous sessions, these final remarks paid homage to Marilyn Butler’s personal and professional legacy, and this fabulous two-day conference was characterised by a warmth and intimacy that rarely features in academic conferences. Many thanks indeed to Gillian and Linda for organising such a wonderful celebration!